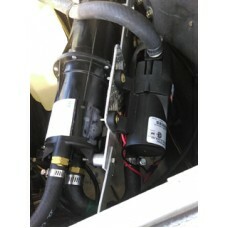 GLIND AUTO & MARINE HEAT EXCHANGER. NOW BUILT TO MARINE GRADE STANDARDS. ALL HEAT EXCHANGERS FITTED WITH STAINLESS STEELS BOLTS AND FASTENERS. ALL HEAT EXCHANGERS MADE WITH DR BRASS FITTINGS, TO AUSTRALIAN STANDARDS, FOR PUMPING HOT SEA WATER. A hot water camping shower that runs off your 4WD ! The ultimate in four wheel drive and camping accessories. The Glind Aussie Car and Boat Shower guarantees the luxury of a refreshing hot or cold shower wherever you are….the outback, the beach, camping or touring. 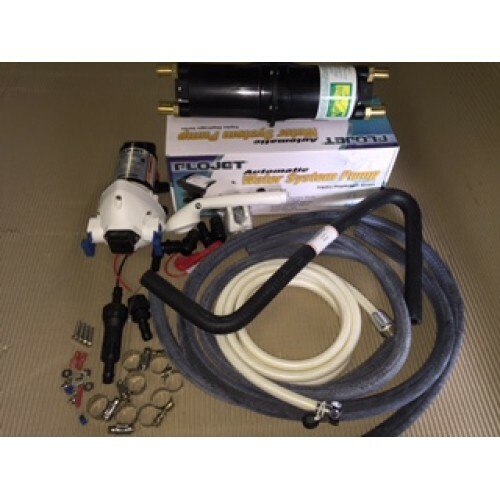 This kit includes fuse, fuse holder, Narva Rocker switch, high quality Tridon stainless steel band radiator clamps for both 5/8″ and 1/2″ hose, 1 1/2 metres of quality Gates heater hose in both 5/8″ and 1/2″, nuts, bolts and washers to secure pump and eye lugs and other terminals, 80 screen inlet filter, hands free shower rose bracket, hospital grade 2.4m shower hose (with chrome plated brass fittings) and the best variable flow shower rose available. The Glind Original is the only large capacity shower system to incorporate a marine grade water pump. 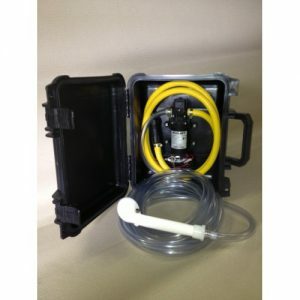 This pump will run at 11 l/min at open flow and have a 50 psi shut off, more than enough for a great shower. If you recirculate and pre-heat the water from a 20 l drum, this system will provide 2 really good showers. Simply wet yourself down, then shut the pump off by shutting off the Glind shower rose, then soap yourself up, then re-activate the pump by opening the flow control on the shower rose and rinse off. Too easy. This is the premium product in the Glind range. Designed for those who need to be able to draw water from a source up to the full length of a garden hose, then up a slope 2m high, then push the water that far too. The Glind heat exchanger measures 355 mm long X 105 mm high as it sits on its mount bracket. Make sure you have enough room to add hose and hose bends to each end when fitting. As the heat exchanger is a sealed unit, the brass fittings CANNOT be changed or altered and pre formed heater hoses will be required for tight bends. These pre formed hoses are available from Glind (see Gates heater hose in the Accessories section). Save on van park fees – you have the best ammenties with you, enjoy the peace and quite of the bush. 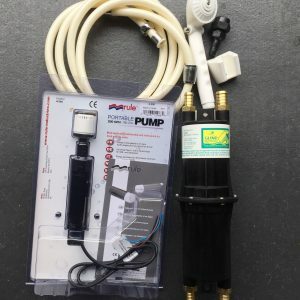 Complete kit contains the proven Glind marine quality heat exchanger, a 12 volt marine grade Flojet pressure pump with an open flow of 11 l/min at 50 psi shut off, in fact every thing you will need to fit your Glind Aussie Car and Boat Shower to your vehicle. With a two year warranty on the Glind heat exchanger and 1 year on the Flojet pump, you can own the Original Glind Aussie Car and Boat Shower. Thankfully the shower rose which is supplied with the Glind systems will provide excellent coverage with water use as low as 4 l/min. 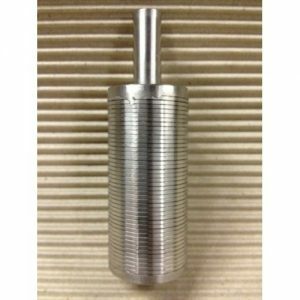 Did you know that some heat exchangers on the market are prone to corrosion, or require sacrifical anodes to stop corrosion of your engine and your heat exchanger simply because of the material they are made from? That cannot happen to a Glind. Buy quality, buy Glind.